Sunday, December 22 - Del Mar - Solana Beach Lions Club participating in the Community Resource Center Holiday Basket packing event to help families in need. Nice work team! 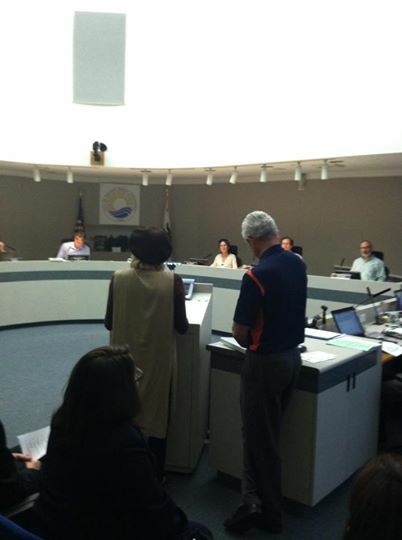 Del Sol Lions President David Cain and Vice President Maria McEneany presenting the Del Sol Lions grant funds request for the student backpack program to the Solana Beach city council. 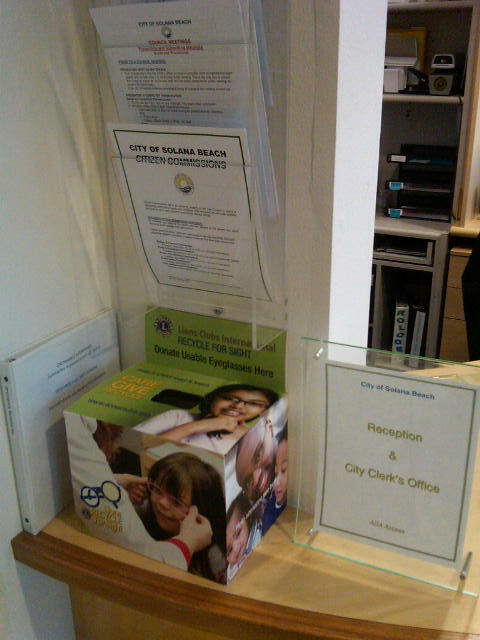 Members of the Del Sol Lions Club have placed ten collection bins around Del Mar, Solana Beach and Rancho Santa Fe for donors to recycle their used eye glasses as part of Lions Club International’s annual Recycling for Sight program. 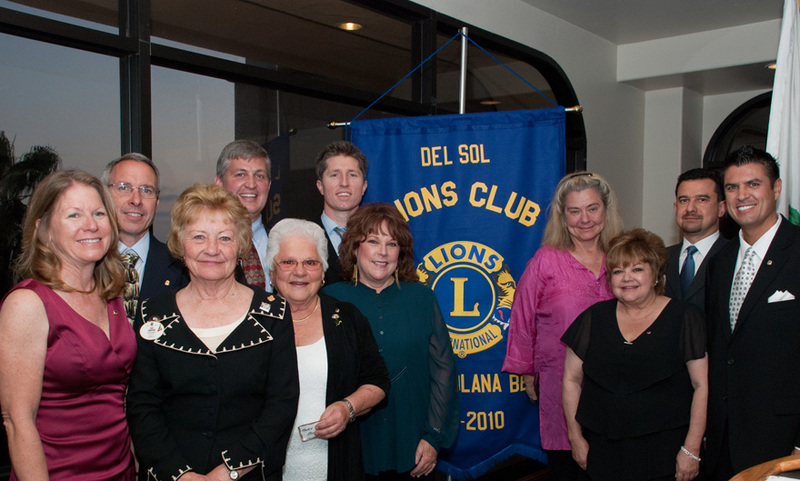 District Governor (and Del Sol Guiding Lion) Julie Crawford and newly installed Charter Officers of the Del Sol Lions Club on April 24, 2010, at Del Mar Fairgrounds Charter Night Celebration!